Our popular one bedroom suites provide guests with an incredible 64sqm of living space, designed with a separate living room. 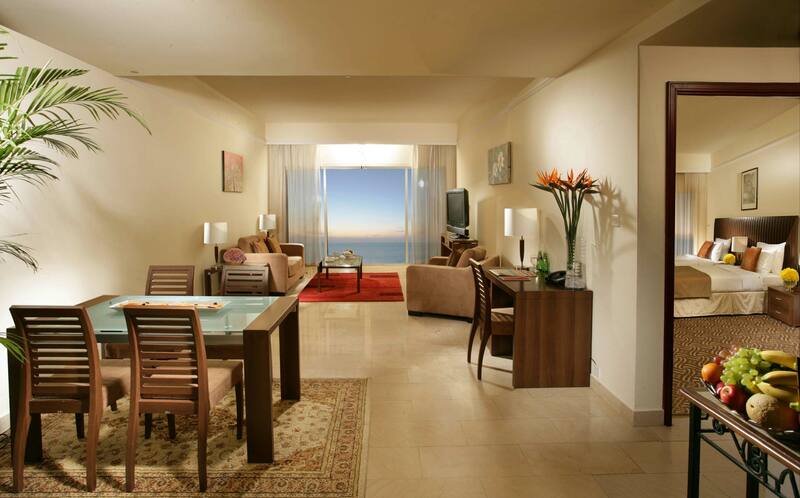 With stunning views across the Arabian Sea, the suites offer mesmerizing interiors and stylish decors for a prosperous stay. Guests can choose from a king size bed or twin beds in the room and relax and unwind in luxurious surroundings. Ideal for a longer stay at the hotel, or for guests with families, these suites are exceptionally well-appointed with a range of high-class amenities and furnishings.